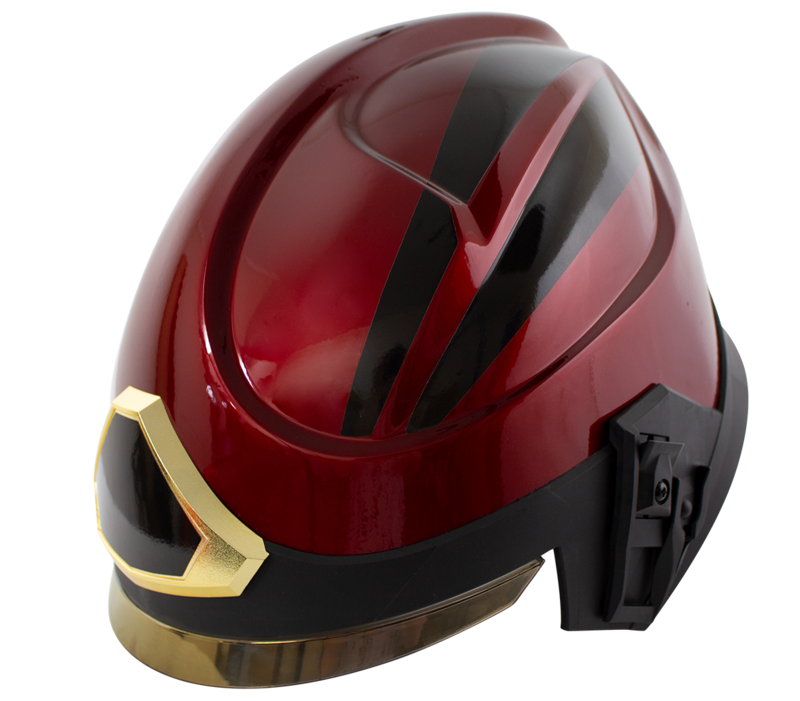 The Pacific F15 Structural Fire Helmet from Pacific Helmets (NZ) Ltd combines the heritage and proven safety of Pacific’s unique DuPont™ Kevlar® and Fibreglass reinforced composite shell technology with an advanced polymer chassis to revolutionize your firefighting experience. 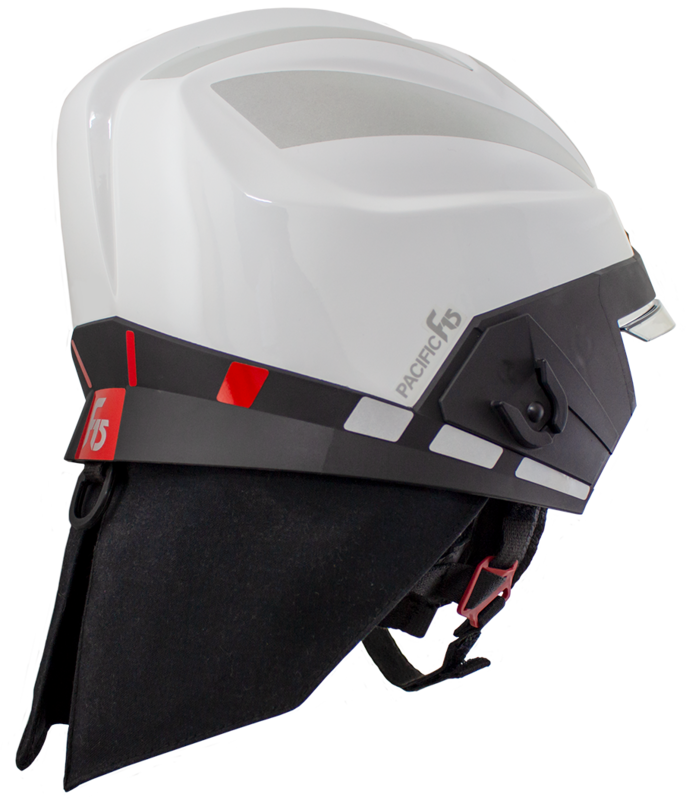 The F15 incorporates Pacific’s latest innovative designs such as the dual pivot face shield. 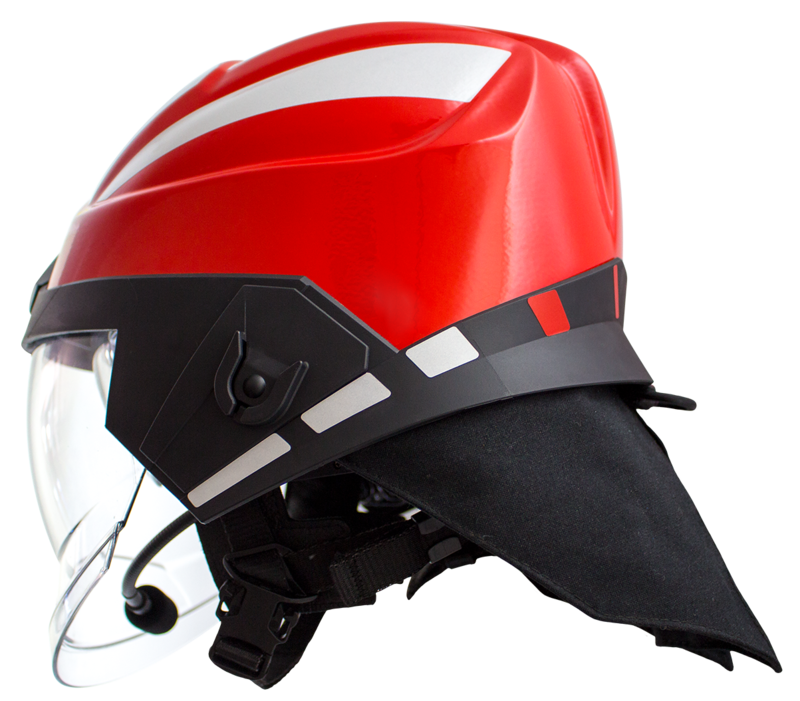 Using an elliptic dual pivot system, the F15’s new full coverage internal face shield can be fully deployed when in use with a breathing apparatus to provide you with an extra layer of safety. The F15 also comes with the One Touch Eye Protector (OTEP)™ for easy, push-activated eye protection at times when full face coverage is not required. 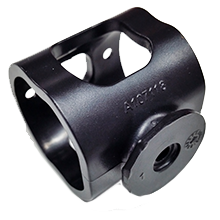 The composite shell provides excellent impact and penetration protection and is lightweight and resistant to chemical, UV, heat, and flame. Pacific shells have a proven service life of 15+ years’ with proper care and maintenance. The unique chassis provides a platform for accessories and tech integration. The F15 has an optimised center of gravity, giving it stability and making it feel lighter to wear. 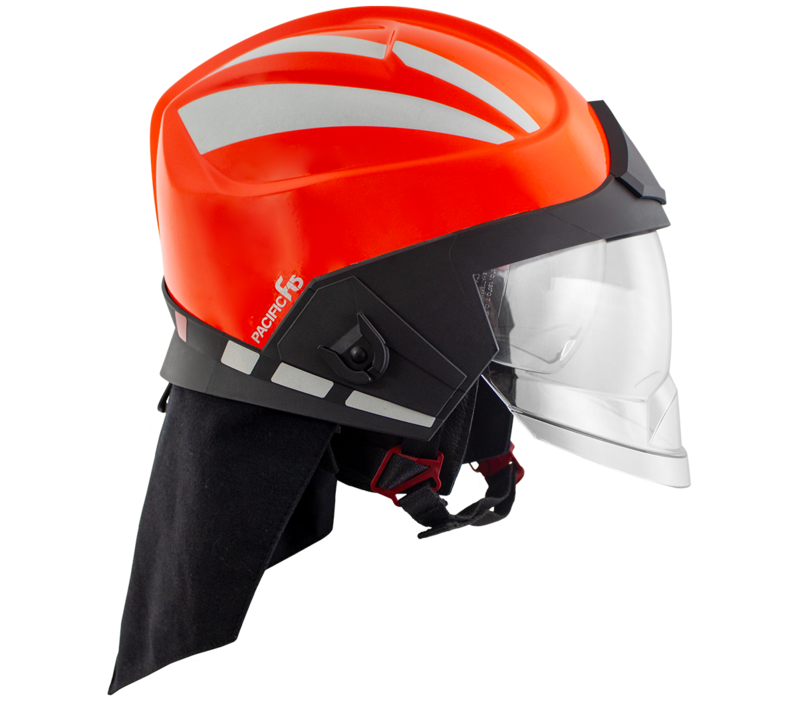 Combined with 5 specially designed points of impact attenuation, the result is a helmet that reduces neck and spine fatigue and provides greater protection against falls and impacts. 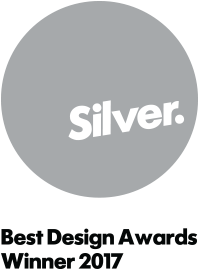 The F15 was awarded a Silver at the New Zealand Best Design Awards in 2017. Scroll down to find out more about the F15. Dual Pivot Internal Face Shield can be fully deployed over a BA mask. Comes in Clear or Gold finish. One Touch Eye Protector (OTEP)™ in a clear or tinted finish. Adapter Plates for torches and SCBA Masks. 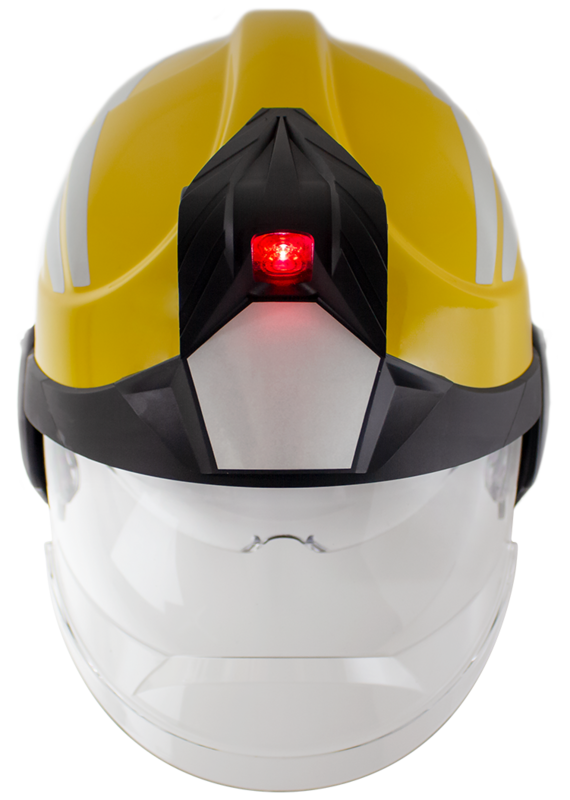 A range of lighting options are available with your F15 helmet. A comms bracket is fitted as standard in most F15 helmets, choose to add a Titan Boom Microphone to utilise this. 1 Please note, some features may be compulsorary depending on the standard selected. 2 Custom colours are available. Colours may appear different on screen. Enquire for an accurate colour swatch. 3 Customisable to your requirements. The shell of the F15 is a composite of Dupont™ Kevlar® and fibreglass which provides excellent impact and penetration protection while being chemical, UV, heat, and flame resistant. 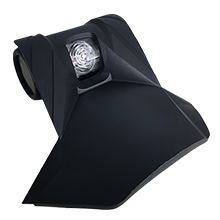 The shell is ultrasonically welded to an advanced polymer chassis, combining the proven strength of the Pacific shell with a platform for integration of accessories such as communications, lighting, thermal imaging cameras, and BA masks. 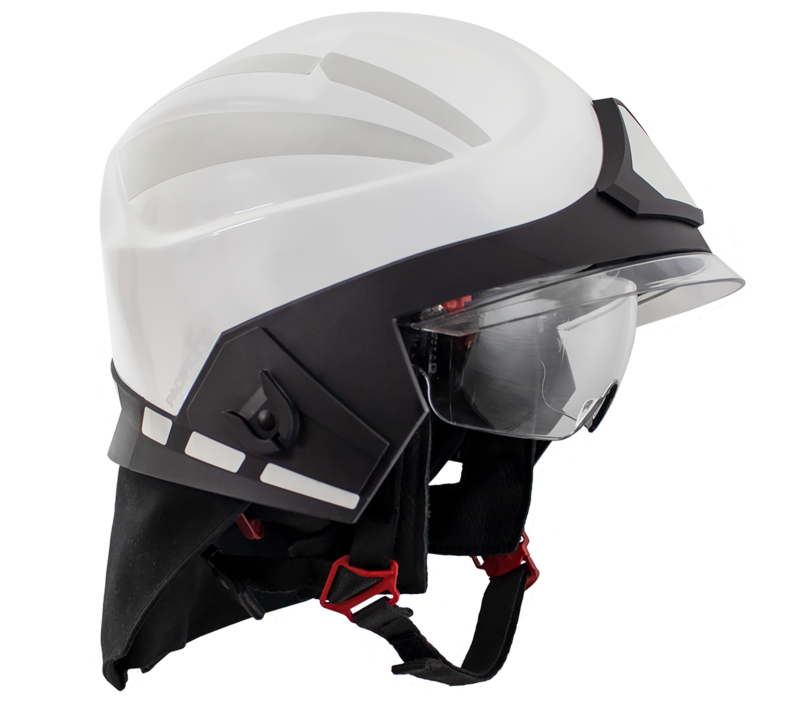 The internally mounted Dual Pivot Face Shield on the F15 provides high speed particle protection, is heat and flame resistant, optically correct, anti-scratch and anti-fog coated. 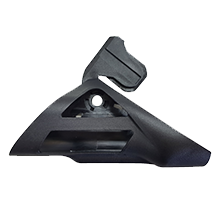 The face shield provides full face coverage with plenty of internal space through a unique dual pivot system, allowing the face shield to pivot away from the face as it deploys. The face shield can be fully deployed over a BA mask without obstructing your field of vision. Made of fire retardant polycarbonate which is highly shock impact resistant under all environmental conditions. Designed to be optically neutral ensuring no visual distortion. Comes clear as standard. Gold tinted face shield also available. MOQ may apply. Certified to: EN14458:2004, NFPA1971:2018, ANSI Z87.1:2015, EN166:2001, AS/NZS 1337:2010. The F15 features the Pacific OTEP™ to enable easy push activated eye protection. Wrap around design provides maximum protection to the wearer’s eyes, especially from lateral impacts. Made of fire retardant polycarbonate, it is highly shock impact resistant under various environmental conditions. External surface is scratch resistant. The lenses are optically neutral and achieve Optic Level 1 in full compliance to EN166:2001 requirements. Comes clear as standard. Smoke tint and gold tint also available. MOQ may apply. 4-point chinstrap made of fire retardant Nomex® webbing. Dual rear “rip cord” nape straps allow for a single pull rapid adjustment to achieve maximum security, and are easily adjusted with a gloved hand. The Quick Release Buckle and dual nape strap ladder locks are red to stand out against a dark background making them easier to find in bad lighting or under extreme fatigue. Available both with and without Leather Padding to provide extra comfort to your cheeks and ears. Pacific’s latest headband design eliminates pressure points by using global contraction to contour evenly around the user. Ratchet adjustment enables the headband to be resized to fit a wide range of head sizes, and the angle of the nape strap can be adjusted to perfectly suit your unique head shape. A pivoting rear nape allows the angle to be adjusted at a range of 100° to perfectly suit the wearer’s nape. This makes for a comfortable and secure fit for all head shapes. There are three height adjustment levels to ensure stability and comfort for all head sizes. Downsize kit available to improve the fit on smaller head sizes. Padded Air Mesh with Leather front and rear padding in the F15’s liner provides comfortable wear over prolonged use. This 3D mesh provides optimal internal air circulation throughout the liner. The Padded Air Mesh wicks moisture away from your skin. The padding system can easily be removed for cleaning or decontamination without tools and with a gloved hand. It is attached by hooks and velcro. Your F15 is supplied standard with a 260gsm double layer Nomex® neck protector. This provides superior flame & thermal protection, and includes anti-static and water repellent properties. A gusseted design provides natural outward curvature ensuring compatibility with all turnout jacket collars. Customised lengths and shapes are available in a range of materials and colors such as wrap style neck protectors with aluminised fabric and a Nomex® backing for close proximity intense firefighting. Rank markings, badges, wording, and more are available and can be tailored to your brigade’s requirements. Reflectors and decals can be added to both the Shell and Chassis. The shell is available in a wide range of UV reistant standard colours in hi-gloss, fluorescent, photoluminescent, or matte. Personalised colours are available by request to suit your brigade’s identity. The Front Plinth can accommodate a Metal Badge. These badges can achieve a high level of detail, are available in a variety of finishes, and can be painted with your colours. MOQ or setup fee may apply. The F15 offers a range of lighting solutions to meet your needs. Side mounted torches which clip low and tight on the shell to maintain optimal centre of gravity and reduce snag risk. Front mounted lamp which clips into the Chassis. 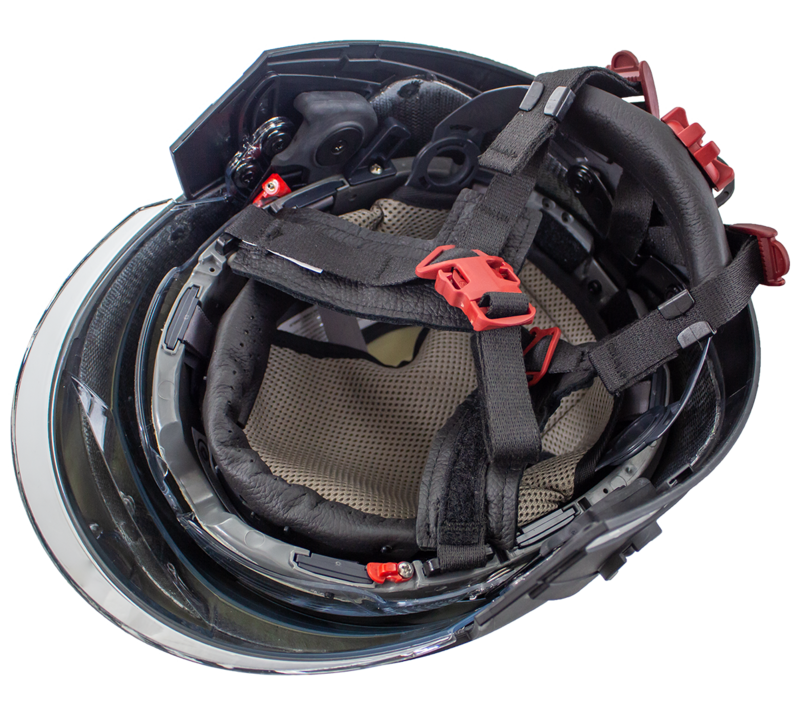 Communications bracket enables boom microphones such as the Titan Firecomm HUC5 to be clipped into the helmet liner. Nylon and Nomex® Rear Hanger is fitted to the back of the Chassis. Use to store your helmet on a hook when not in use. Full cranium closed cell polyurethane foam impact liner provides all round impact protection and superb thermal insulation. 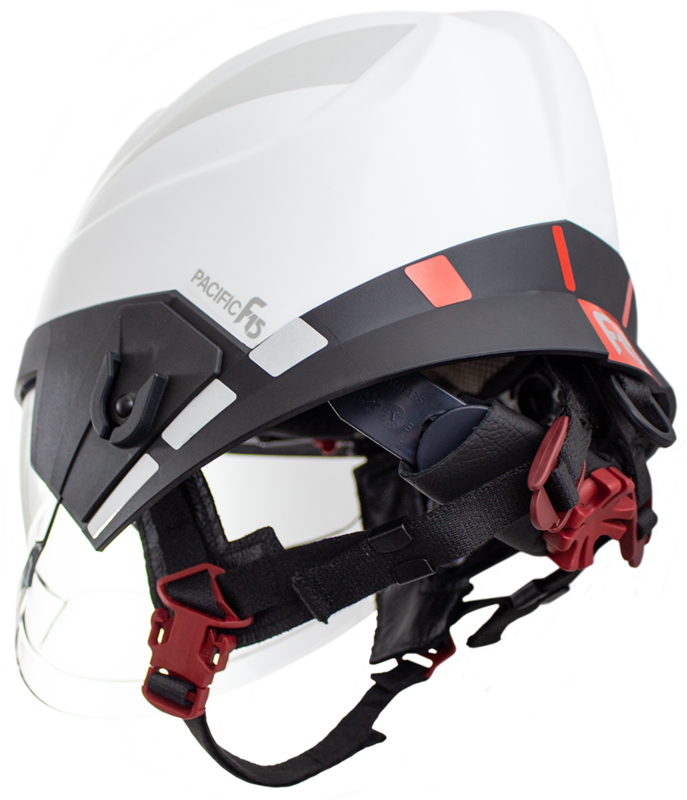 The 6-point ribbon cradle suspension system creates clearance between the top of the wearer’s head and the impact liner. 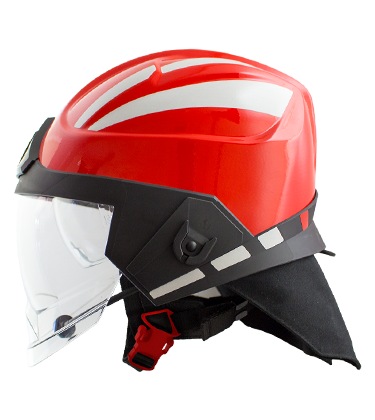 This elastically cushions the head and at the same time allows for unobstructed air flow inside the helmet, keeping the head well ventilated. 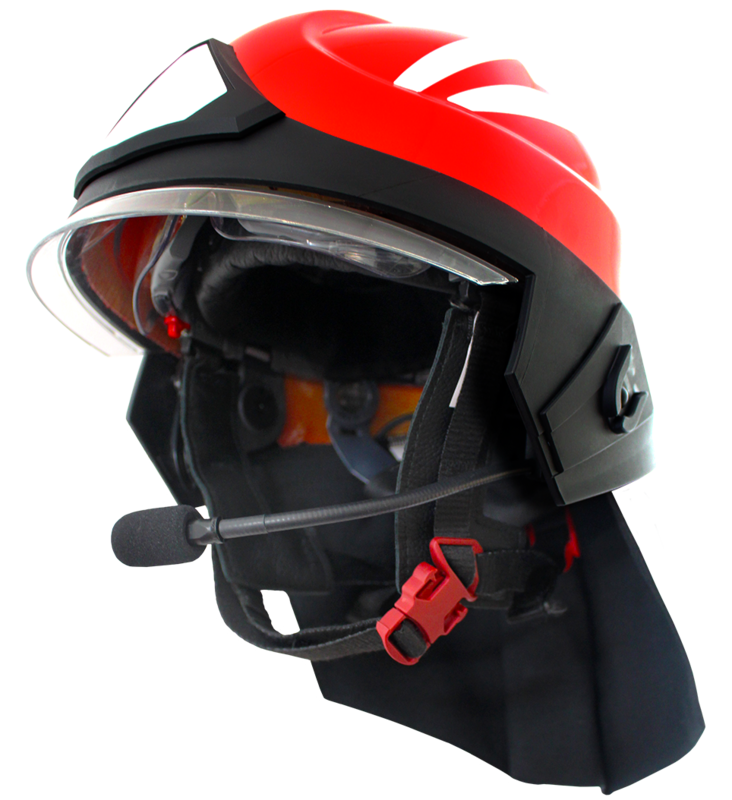 All quickly adjustable points within the helmet are coloured red to help you find them efficiently while working in the field. Your F15 can be fitted with a directional reflective system. 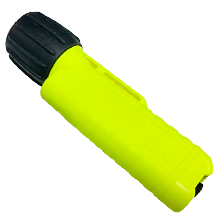 This uses different colours front and rear to assist in determining the facing direction of firefighting personnel from distance or in difficult visibility. 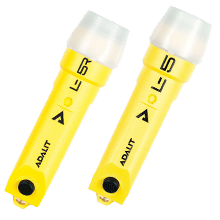 The F15 is compatible with lighting solutions such as the Underwater Kinetics eLED and Adaro Adalit L5 Torches. It can also be fitted with Titan Firecomms (helmet mounted boom microphone and speaker system). Some accessories may require selected helmet features.